Swing Dancing at the Holbrook Giuffrida wedding! 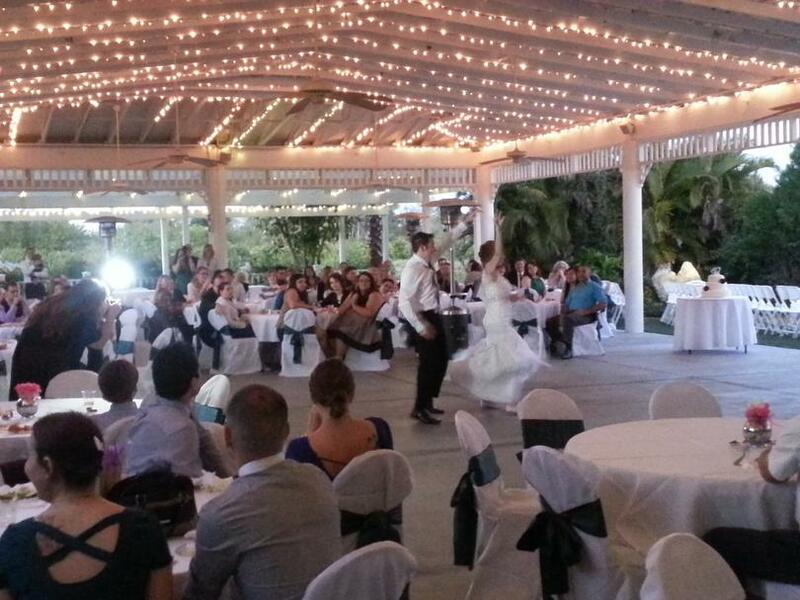 Rob is one of the finest Wedding DJs in Florida. He has a passion for creating great entertainment for your Wedding, Event, Ceremony or Reception. Rob has held th prestigious award for the past 3 years - since joining the Wedding Wire Group. Rob, All I can say is AWESOME. We were so happy to find Rob. I have to admit, finding the DJ was probably the most stressful and time-consuming part of our wedding planning. But then came Rob. He even sang for us during our initial meeting. J He provided us with everything we were looking for. He played the piano as a prelude to the ceremony, then did the ceremony music, he then played live keyboard with a saxophone accompaniment for our cocktail hour, he sang live during dinner (which our female guests absolutely loved), and finally provided great music during our reception. He was key in the fluidity of the event, following the timeline flawlessly. What I most appreciated about Rob was his focus on making our event exactly what we wanted and all about us. He really stayed true to our style of music, yet putting his own flare into the event as a whole. Our guests absolutely raved about him throughout the night. Finally, his lovely wife was even there to add in the fun and capture some great pictures, for which we are so thankful. I would recommend him to anyone, because he was such a key factor in making our wedding the spectacular event it was. Rob did the entertainment at our wedding reception in May, and I am still getting comments about how much everyone enjoyed it. He played a great variety of music, and he went around to the tables and sang as well, which everyone loved. From the teenagers to the elderly people, everyone was up dancing the whole night, and he also helped us out so much, because he kept things organized and moving along. He gets my highest praise, and will always be my first choice for an entertainer! Proud to be an Elegant Sarasota Weddings Vendor!